The choice facing Britain in the EU referendum is best understood, Lee Jones suggests, by using two concepts he has discussed in his work with Shahar Hameiri: ‘the politics of scale’, and state transformation. In a nutshell, the EU emerged through the rescaling of governance to inter-elite networks insulated – by design – from popular control, which lock in anti-democratic and conservative policies. Restoring popular control has to involve leaving the EU and revitalising national democracy in a progressive, internationalist direction. In political geography, a ‘scale’ is a defined socio-political space, which is usually located within one or more hierarchies of related spaces. Examples can include tiers of established governance – boroughs, cities, provinces, nations, and regions, for example. They could be defined ethnically or religiously – a parish, the ummah – or even environmentally – habitats, bio-regions or the global environment. What’s fundamentally at stake in the EU referendum is the primary scale at which British citizens should be governed: the national (Brexit) or the regional scale (Bremain). The scale of governance is contested because different scales involve different configurations of actors, resources, power relations and opportunity structures, privileging some interests and agendas over others. In the post-war decades, the entire Western-led global economic and political order was designed to consolidate the nation-state as a ‘taken-for-granted’ scale and space of governance. Within Western states, a new Fordist-Keynesian bargain was struck between key social forces, brokered by corporatist states: capitalists bought social peace from labour in exchange for steady expansion in wages and living standards. The Bretton Woods settlement supported this by restricting international finance and regulating currencies, which helped states plan their economies. The postwar order thus upheld ‘the primacy of national economies, national welfare states, and national societies managed by national states concerned to unify national territories and reduce uneven development’, as Bob Jessop puts it. Even the early phase of European integration was designed to support national development, thereby securing ‘the European rescue of the nation-state’. This consolidation of the national scale and its associated institutions afforded unprecedented access to policymaking for organised labour. Moderate trade unions were directly inserted into decision-making forums alongside government bureaucrats and business representatives. Ordinary people could also hold governments to account through democratic practices. In this peak era of state sovereignty, lines of responsibility and accountability were clear. This all began to change in the 1970s. That decade’s crisis of capitalist profitability eroded the basis of the Fordist-Keynesian social compact, which shattered amidst renewed labour insurgency. The new right’s solution to the crisis was to smash organised labour, deregulate industry and finance, and restore capitalist hegemony on the basis of a neoliberal social order. Scale was a crucial element in this struggle. The quest for nationally-based development was essentially jettisoned in favour of what we now call ‘globalisation’: the transnationalisation of investment, production and consumption. Allowing investment to flow globally – to wherever had the most ‘competitive’ wages and operating environment – was a vital means to erode the power of organised labour. This scalar resolution to the crisis clearly exposed the limitations of the Western left’s accommodation to capitalist states, which tied them into nationally-based forms of power. 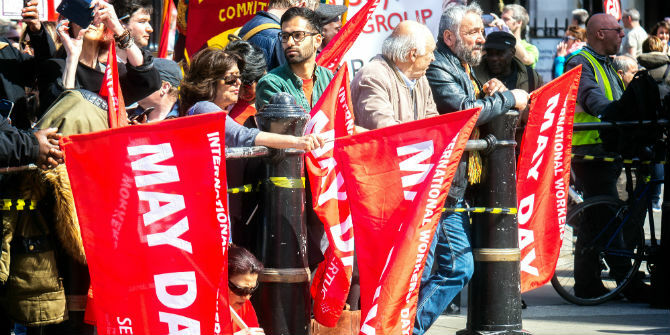 The European left has always been rhetorically internationalist but, in practice, it has been overwhelmingly organised through national political parties and unions. The onset of World War I illustrated that, notwithstanding elite concerns, nationalism and patriotism had effectively segmented the European left. While World War II and the rise of Soviet power granted the left unprecedented leverage after 1945, it exercised this nationally, through domestic legislation, national bargaining and state-based corporatist institutions. Essentially the left opted for ‘socialism in one country’ rather than socialist internationalism. This rendered the working classes continually susceptible to divisive, nationalist-patriotic appeals, such as during the Falklands/Malvinas War. Moreover, this reliance on national institutions left workers helpless when capital went global. As the national scale lost its primacy in accumulation strategies, so its primacy in the realm of political governance also began to wane. Here, the concept of ‘state transformation’ becomes useful, foregrounding the fragmentation, decentralisation and internationalisation of statehood. Below the national scale, regions, provinces and cities became international actors, trying to lure foreign investors, businesses and tourists – a phenomenon now recognised as ‘paradiplomacy’ and the formation of transboundary ‘regions’. Above the national scale, transnational policy networks and regimes proliferated. The EU’s ‘Ordinary Legislative Procedure’. Perfectly transparent. As governance shifted into intergovernmental forums, or transgovernmental networks between independent regulators, access to decision-making narrowed sharply. In contrast to nationally-based, corporatist institutions, these new governance forums are limited to elite networks and those able to operate internationally to influence them. Some capitalists have become highly adept at operating transnationally. Labour, by contrast, remains predominantly national. It is often illegal to strike in solidarity with your own compatriots in another sector, let alone with foreigners. International forums may be open to representatives of big business, and certain Northern NGOs, but they are inaccessible by design to the vast majority of people and their representatives. The single market is also governed through rescaled institutions. Crucially, it is not the case, as many Eurosceptics suggest, that we are ruled by ‘bureaucrats in Brussels’ manning a ‘European superstate’, nor is the emergence of such a superstate remotely likely. The rescaling of governance does not need to involve a wholesale shift in sovereign authority from a national to a supranational entity. Much more often, it involves state transformation: the reconfiguration of state apparatuses such such that their various elements become part of transnational policy networks. Bickerton shows how this works in Europe. Decisions about economic policy are now not taken by individual countries’ finance ministers, nor by a supranational body, but rather EU finance ministers collectively. Their ministries now constantly consult with each other and seek to harmonise policy across the Union – the so-called ‘coordination method of integration’. This process now exists across every conceivable field of governmental activity, from agriculture to sport and even foreign and security policy. The key transition in this rescaling of governance is not a simplistic loss of state power to a supranational body. It is rather the relocation of decision-making to a different scale and to different institutions, such as the Council of Europe and the Eurogroup, where a very different configuration of actors, resources, power and opportunities prevail. Power is not necessarily shifted out of state hands, but it is exercised in forums and by actors who are deliberately shielded from public scrutiny and popular accountability. The benefit of this rescaling is that it has allowed many European elites to push through neoliberal policies that would have encountered tremendous – possibly fatal – resistance had this been attempted at the national scale. In fact, such resistance is precisely what encouraged many elites to take this step. For François Mitterand’s government in France, for example, the single market was a way to evade powerful French unions opposed to abandoning dirigisme. By relocating decision-making beyond the national scale, likeminded elites could formulate policies away from such opposition and ‘lock in’ their preferences. Stephen Gill refers to this as ‘economic constitutionalism’: certain goals and rules are permanently enshrined in international law, making them difficult or impossible for domestic populations to challenge or change. This was not ‘done to’ Britain (or anyone else) by some mysterious, supranational EU elite; it was done by EU member-state managers on behalf of dominant social groups. In essence, the single market ‘locked in’ a monetarist and neoliberal ‘constitution’ for Europe, binding member-states to pursue business-friendly priorities of fiscal discipline and low inflation – rather than the goal of full employment typically favoured by organised labour. In the years that followed, large-scale business has cemented this bias by organising internationally to access rescaled governance apparatuseslike the European Commission, essentially drafting a whole draft of EU regulations. This rescaled form of governance has enormous effects on our everyday lives and shapes the outcome of practically every major event in Europe. The results have been most obvious during the Euro-crisis. It has been painfully obvious that no amount of domestic contestation in countries like Portugal, Spain, Italy or – most especially – Greece (the ‘PIGS’) makes the slightest difference to decision-making on crucial economic, social and political issues. The Euro-crisis has been governed throughout by elite networks: the ‘troika’ of the IMF, the European Central Bank, and the Eurozone finance ministers. As Bickerton argues, the latter’s function in particular has been to shield economic decision-making from popular forces and allow national ministers to present their decision to embrace austerity as one imposed from without. This was revealed when the other PIGS were the harshest cheerleaders for austerity in Greece: they feared letting Greece ‘off the hook’ would encourage their own domestic populations to demand a similar escape. Thus, EU policy networks are essentially clubs of national elites working to marginalise and exclude parts of their own electorates from power over decision-making. The thin patina of democracy given to the EU via the European Parliament does not alter this reality: European laws are not drafted by the parliament but by the unelected Commission, and most EU decision-making bypasses legislation altogether. This helps us to understand why, despite decades of Eurosceptic frothing, a European super-state has not and will not emerge. Most European elites are quite happy with a mode of governance that maximises their autonomy from their own electorates while minimising their popular accountability. This typically includes the British elite, which is why so few of them are pro-Brexit: the most recent manoeuvre is the claim that EU ‘state aid’ rules prohibit the nationalisation of Britain’s troubled steel industry (which has not stopped Italy). Patriotic bluster about an all-powerful EU bureaucracy or a looming super-state simply misunderstands the situation, and plays straight into the hands of Europhiles who can point to the ultimate supremacy of the Council of Ministers, which obviously comprises elected officials. The point is not that Europe is run by an unaccountable bureaucracy. Rather, it is run by a network of elected officials and their appointees via transnational institutions that insulate them from popular accountability and control. In reality, there is nothing most European elites would dread more than the EU’s evolution into a truly federal superstate, with an elected president, government and parliament. If this occurred, representative democracy and clear lines of accountability would be restored. The secretive, private meetings that presently dominate would not be tolerated; EU ministers would have to account for their actions in parliament and face censure. Public access – however mediated – would be restored to the main institutions of public decision-making. Elites could not hide behind each other but would have to face the electorate squarely. The very idea terrifies most European elites, who harbour a deep contempt for their own populations, seeing large swathes of them as anti-cosmopolitan, uneducated, protectionist and illiberal. Interestingly, even supposedly progressive elites share this view. Yanis Varoufakis, for example, continues to insist on continued EU membership for Greece and Britain because, he suggests, rescaling governance from the regional level back to the national level will boost right-wing parties and allow them to seize power. This is one reason why Syriza was ultimately unwilling to leave the EU. Insofar as this fear has any foundation in reality, it is largely a result of the degradation of democracy and the decay of the left that EU integration has helped cement. The forces that presently support populist, anti-EU, anti-immigration parties like UKIP in Britain or Le Front National in France are those social groups most disenfranchised by neoliberal economic constitutionalism and the rescaling of governance. Some generations ago, these groups supported left-nationalist parties. 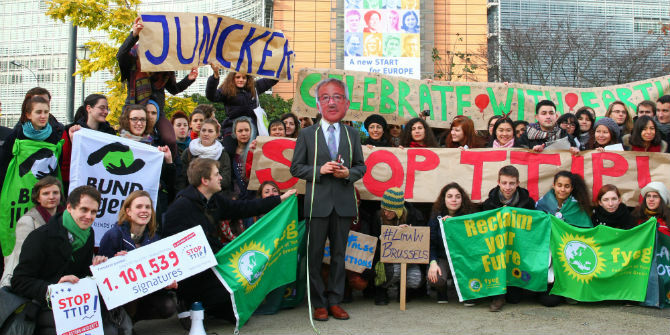 These parties were defeated – as part of the wider evisceration of the left that the EU’s formation helped produce – and most converted into ‘third way’ entities: pro-EU and neoliberal in orientation. Thereby deprived of political representation, it is hardly surprising that these social forces are being channelled by the right. The experience of Syriza and Podemos shows that it is possible to redirect these forces in a left-populist direction – though Syriza’s capitulation to EU diktat simply adds to the decades of betrayal. In any case, it is this fear of returning to the national scale of governance – and, ultimately, a fear of the domestic electorate – that undergirds much opposition to Brexit, especially on the left. After a lifetime of opposition to the EU, even Jeremy Corbyn is campaigning (however half-heartedly) for Bremain. The supposedly ‘progressive’ argument for Bremain is precisely the ‘constitutionalism’ point: governance scaled at the EU level ‘locks in’ some policies that progressives support, which they fear would be eroded if national-scale governance was restored. This is partly because of Britain’s particular historical development. By the time Britain joined the EU, Thatcher had already violently imposed a neoliberal revolution, so did not necessarily need the EU to bypass domestic opposition – though it certainly consolidated her gains and benefited British finance capital. Indeed, conversely, Britain had to accept some aspects of ‘social Europe’ – minor concessions to labour required to legitimise the project on the continent, where the left had not yet been utterly crushed. This peculiar trajectory is why the British right has always railed against EU policies as alien, lefty impositions, negotiating endless opt-outs and rebates, while the post-Thatcher, eviscerated left has tended to see the EU as a curb on right-wing extremism. On the continent, the EU’s essentially neoliberal character has always been more transparently obvious. The contemporary left, then, opposes Brexit on the grounds that things like environmental protection, human rights and modest labour regulations depend on continued EU membership and would be destroyed if national representative democracy was restored. Looking at the current electoral balance – especially if the Scottish National Party responded to Brexit with a successful second independence referendum – it seems that voting to leave would hand power to the Tories in perpetuity, boosting the ‘xenophobes and the immigrant-bashing nationalists’. Unfettered by Europe, so the argument from groups like ‘Salvage’ goes, the Tories would gleefully trash every progressive policy. As Paul Mason pithily expressed it, the ‘principled leftwing case for Brexit’, despite being undeniable, should be ‘ignored’ because of ‘two words: Boris Johnson’. This despondent analysis reflects the utterly bankrupt state of Britain’s so-called left. 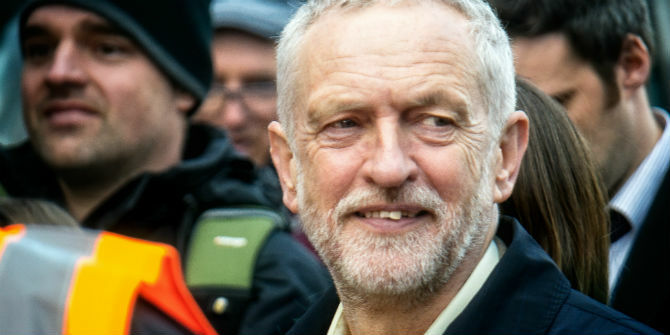 It can only mean that the left – including Corbyn – lacks any faith in its capacity to lead the British public towards a more progressive future. It does not believe that the majority of people support progressive policies, nor that it can persuade them to do so. The only way to ensure that ‘left-wing’ preferences can triumph is to rely on a fundamentally undemocratic institution to ‘lock them in’. (The same occurs domestically as ‘progressives’ rely on the entirely undemocratic House of Lords to uphold human rights and resist austerity measures.) In this sense, the Brexit debate tells us more about what Britons think of one another than what they think of the EU. And the dominant feelings are clearly fear and loathing. The political sacrifice involved in this anti-democratic position are considerable. It essentially means settling for a Blairite agenda as the best that Britain can possibly manage. Many of Corbyn’s most basic policies would be struck down by the EU. The nationalisation of the railways or utilities, for example, would be barred by ‘state aid’ rules. So-called ‘people’s quantitative easing’ is illegal under EU law, which bars central banks from funding government spending. And EU court rulings have enshrined the permanent degradation of labour law. Even Corbyn’s modest policies – which would hardly herald a transition to socialism – are impossible within the EU’s ‘economic constitutionalism’. If you think Corbyn’s election as Labour leader is a good thing, it is absurd to then support a political structure that would systematically prevent him achieving his objectives. That Corbyn himself is doing this merely reflects his own inability to lead the parliamentary party on this issue, as with so many. To be clear, there is nothing particularly special or sacred about the national scale of governance. Notwithstanding nationalist celebrations of it as a shared community of blood and soil, history shows that nations were always createdafter or as part of the process of nation-state formation, through the often violent homogenisation of subject populations. The national scale of governance was preceded by much smaller, more fragmented scales – the polymorphy of medieval Europe, the dominance of the urban scale in the great city-states, and so on. There is no reason to think of the national scale as the natural, final or even desirable scale at which anything should necessarily be governed. It is just one configuration of actors, resources, power and opportunity structures among many. But the national scale does have some concrete advantages: it is far smaller than the regional scale, local actors have a greater sense of mutual identification, and the structures of representative democracy, however flawed, do exist. This is in strong distinction to the regional scale, which comprises 508 million individuals with far more diverse identities and affiliations, and entirely lacks any genuine pan-European parties and meaningful institutions of popular representation, with authority concentrated in unaccountable, elite policy networks. The importance of this distinction is revealed when considering Yanis Varoufakis’s alternative to Brexit. He insists that Britain must stay and fight for a democratic EU. This is simply an extension of Syriza’s fantasy of a ‘good EU’, which led to its failure and Varoufakis’s resignation. The idea relies upon progressive forces taking power in all the leading EU member-states then forcing the EU to change its ways. The contradiction is obvious. On the one hand, supposed leftists like Varoufakis disbelieve in their capacity to mobilise a few tens of millions of people in their own societies towards progressive ends (restoring democracy will only benefit neoliberal Tories or the far right). Yet, they somehow believe that it is possible to mobilise hundreds of millions of people across the entirety of Europe for exactly the same purpose. Incredibly, they further believe that it is possible to achieve this simultaneously, such that the national positions of EU member-states would converge. In reality, as a simple practical matter, it is self-evidently easier to mobilise fewer rather than more people, and to act unilaterally rather than multilaterally. The task Varoufakis proposes – coordinated leftist victories across Europe – is surely even more fantastical than the idea that the left might succeed in just one national territory. His idea – and those like it – are nothing more than a flight from domestic politics – a reluctance to face up to the left’s persistent failure to win at the national level and the work needed to change that. Varoufakis is simply the latest in a long line of politicians like Jacques Delors and François Mitterand who, having failed miserably in domestic politics, look vainly to the continent for their salvation. Brexit offers a clear, once in a generation opportunity to revitalise democracy and restore accountable government. Those who argue that this would simply hand power to Tories and nationalists betray a deeply pessimistic and anti-democratic sentiment. Rescaling governance back to the national level does not automatically result in right-wing victory, or policies one dislikes; it depends entirely on the political struggle that follows. There is no reason why rejecting the EU means rejecting Europe if we fight for an internationalist politics. Those who want to avoid conservative outcomes must fight for an alternative. That means formulating policy platforms with wide appeal that reconnect with disaffected citizens. It means arguing for ideas and mobilising people to achieve one’s ends, rather than relying on undemocratic institutions to work against the people’s stated preferences. These are the basic functions of a political party. If the Labour Party cannot do these things, it deserves to lose. If it cannot reverse its decline from a popular force into an electoral machine for elite politics, it deserves to crumble into irrelevance so that something better can be born. And what is the alternative? Voting Bremain, keeping the zombified Labour Party going as a third-way entity: not quite killed off, thanks to certain, rather meagre EU protections of some favoured policies, but structurally disabled from pursuing a more transformative agenda? Producing the latter may be very difficult at the national scale, but it is impossible at the transnational scale. Ultimately, Brexit should be welcomed as a chance to shatter the instruments of transnational elite rule, destabilise the already crumbling British constitutional settlement, and reinvigorate politics. The status quo is not worth defending, and merely changing the rules of the game could – contrary to left-pessimism – change outcomes in a surprising way, as the SNP’s experience in Scotland shows. Certainly, a prolonged struggle would be required, both to prevent the triumph of Little Englanders, and to avoid a doomed, pseudo-leftist attempt to revive the already-failed strategy of ‘socialism in one country’. The scale of the challenge ahead is indeed vast, but the struggle is surely worth it. Lee Jones is a Senior Lecturer at the School of Politics and International Relations, Queen Mary University of London. Was Boris Johnson justified in using John Stuart Mill to make the case for Brexit? As a left-wing Brexit voter you’ve done a better job articulating the reasons to vote Leave from a left perspective than I could have done. 1. Unions overwhelmingly are in favour of Remain (with the exception of RMT). Is this for the same reasons as the PLP? Why isn’t it obvious to unions that they have more national influence than they do within Europe? 2. Italy nationalised its steel industry but you state that the UK could not do the same with rail or energy. Doesn’t this contradict your earlier point? 3. This is slightly off-topic. Your bio states you are an expert in ASEAN relations. Do you foresee ASEAN lasting as an economic union considering the populist policies in member states. If so do you ever see ASEAN becoming a political union like the EU? That is a very good effort.A good read. You set out an interesting argument against EU membership. However, against the backdrop of the public debate that has taken place over the last few months, it seems implausible to argue that “Brexit should be welcomed as a chance to shatter the instruments of transnational elite rule, destabilise the already crumbling British constitutional settlement, and reinvigorate politics”. If Britain does leave the EU, it will be in a fit of xenophobic rage, and it seems highly unlikely that a period of progressive politics will follow. Well, you Britons, stay in the EU and Merkel will tell you what to do. Sums up all the reasons I voted brexit – poses the right questions too – namely that organisation-wise we lack the means to oppose the supra national neoliberal project that is the EU. Having an internationalist mindset is not enough. However there is reason to be optimistic. Movements learn ‘on the job’ Leaders and ideas get tested. So far they are falling short, but wow – look at the energy and the rapid pace of events unleashed over recent years. So get this critique out of academia and into the emerging movements – or is it just another career move ? I agree that you have proposed a sound and intriguing model for Brexit. However, this is not the political platform in response to which a majority has voted for Brexit. The ‘leave’ campaign comprised an assortment of hard-right politicians who succeeded on the basis of an openly xenophobic, ‘expel the foreigners’ campaign. The new British government is headed by a politician who is responsible for petty and vindictive immigration policies, targeting foreign students, maintaining a cruel deportation regime, and sending out the infamous ‘get out the foreigner’ vans. Underneath the xenophobic tide that has accompanied the referendum, the new government seems likely to continue Britain’s neoliberal political programme of the past 30 years. The kind of progressive agenda that you outline might get a chance in ten or twenty years. In the meantime, all those who have voted for Brexit are directly responsible for the hardships that EU workers in Britain are going to face in the near future, including the EU students you teach and the EU academics you work with. 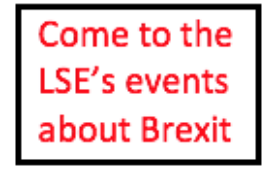 I work at a university outside London, and all EU academics I know there can share an ample repertoire of xenophobic incidents that are directly connected to the referendum. This is the new reality you have voted in – not some sort of egalitarian, tolerant, post-neoliberal Britain. “In contrast to nationally-based, corporatist institutions, these new governance forums are limited to elite networks and those able to operate internationally to influence them.”. Are not all governance forums are limited to those able to operate effectively within their scope and influence them? Working in the international arena I have seen individuals, communities, cities, and organisations from around the World engage effectively with the governance forums I worked in. “But the national scale does have some concrete advantages: it is far smaller than the regional scale, local actors have a greater sense of mutual identification”. One thing Brexit appears to have exposed is the divisions in the UK rather than the mutual identification. How long before we regain a sense of mutual identification. National scale also has a big concrete disadvantage when it comes to interacting and negotiating with larger scale entities. How will we fare face to face in negotiations with USA, China, India and the EU? “Ultimately, Brexit should be welcomed as a chance to shatter the instruments of transnational elite rule, destabilise the already crumbling British constitutional settlement, and reinvigorate politics”. Whilst this might be what some wanted from the referendum but was it at the heart of the public debate on reasons for leaving the EU? Even if it was, the EU is only one of many international instruments. Most are less transparent than the EU and the UK electorate has much less say in their operation, yet they will remain in place. Also, leaving the EU doesn’t address the national elites in the UK or the weaknesses in the UK democratic processes. It may cause the transnational elite to use different instruments because it only “shattered” one. The advantage of being a transnational elite is that you can continue to influence both the UK and the EU. The challenge for the UK is that are large part of the UK population identify with the UK as part of the EU, not a lone nation state. What will Brexit do to help them identify with those who want the UK to be a lone nation state? There is a big risk that weaker economic performance after Brexit will strengthen the divide. Very frustrating to see how single sided the arguments are made. The UK have been one of the main drivers of neo-liberalism, also in the EU. Why would leaving the EU change that? It’ll give more freedom to the millionaires. The UK has been on the forefront of the degradation of worker’s rights since decades. It would not sign the social charter of the EU, because it did not want more rights for “the people”. Why would that change with Brexit? If anything, the EU did not pressure for more neo-liberalism, austerity, degradation of worker’s rights and “leaving the people behind” than the UK government, but less. Everything you complain about was spearheaded by the UK. “Contempt for the people” wow – I can’t think of anybody with more contempt for the people than the political tory establishment of the UK. Again the UK leading the pack. What’s wrong with “lefties” wanting to remain? Why would one be wanting to give up allies? And to say that is a “deeply pessimistic and anti-democratic sentiment” is just wrong. Finally, “revitalise democracy and restore accountable government” – the UK could have done that. There was no pressure of the EU against more transparency of MP financial affairs, changing the voting system,… The UK chose not to do all that without any pressure from the EU. In fact, the UK are not particularly democratic – the central government is too strong and determines most policies. So let’s not pretend: the UK is where it is, because it wanted to be there – not because of the dark forces from the outside. Everything is entirely home grown; the UK has been leading all the policies you complain about since decades and has had all the chances for an improvement, which it chose not to take up. 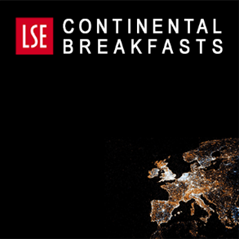 An excellent and clear-sighted analysis of governance in Europe. Quite the best thing I have read on this. Sadly, though,I cannot see a similar clear-sightedness in the argument for Brexit which appears to me to hang on a hope and a prayer. Thank you for the first. And decidedly un-thank you for the second. Not at all happy at being dragged over your ideological cliff.